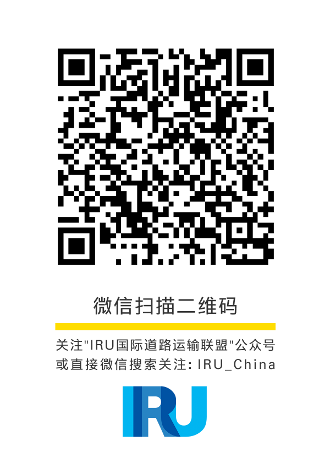 IRU’s key mission across Africa is to support governments and the private sector to reduce the cost of trade. Currently, businesses, manufacturers and producers are hampered by the high costs incurred by transporting goods from production points to export zones such as ports, and import costs are also unsatisfactorily high. The burden of high transport costs, incurred by poor infrastructure or lengthy border controls impacts the costs of goods for consumers and affects the attractiveness of African nations to investors. By working with national governments, regional economic communities and the private sector, IRU is helping businesses and transport operators look at ways to reduce the cost of trade, and, crucially, more efficiently connect with global and regional markets via ports and trade corridors. One of IRU’s key areas of focus is to introduce TIR to the region, to improve flows across borders and reduce the financial obligations and waiting times associated with these barriers, thus bringing overall costs down, outlined in a recent IRU report, Transit Costs in East and Southern Africa. With improved transit and cross-border procedures thanks to TIR, companies across Africa would have greater ‘predictability’ – i.e. have a better understanding of when their goods will arrive. Being able to rely on these kinds of timings is a crucial factor in facilitating trade. For example, without knowing when goods will arrive, companies need a larger inventory to prevent running out of goods, parts, or stock… and a bigger inventory is more costly. Hence, TIR enables companies to adopt ‘just-in-time’ logistics. IRU is engaging with governments and regional economic communities throughout sub-Saharan Africa to advocate for the implementation of TIR, as a key trade facilitation tool. TIR has a big role to play in reducing the costs of trade and the costs of doing business. IRU, via IRU Academy, is also working to establish Associate Training Institutes (ATIs) in order to drive forward professional standards in the transport sector. Training increases the predictability, professionalism and efficiency of transport operators, and is also a key factor in delivering improvements in safety: a critical issue for many countries in the region, some of which have the world’s highest incidence of road traffic fatalities. We are also discussing with various stakeholders the potential establishment of one or more Smart Move High Level Groups in Africa. These “HLGs” gather policy makers and the private sector to identify the key issues relating to public transport and urban mobility, and culminates in a set of policy recommendations aimed at tackling the main challenges – road safety is expected to be a high priority in the African HLGs. Whilst TIR facilitates the movement of goods across borders, if regional integration is going to really work, then the movement of the vehicles and drivers themselves also needs to be safe and efficient. This is why IRU is working with regional economic communities to advise on how to harmonise regional transport systems, particularly within the framework of the World Bank SSATP, ‘Africa Transport Policy Programme’. SADC, EAC and COMESA have taken huge strides in this field, and IRU is currently engaged with EAC to discuss one aspect in particular: the development of standards for access to the profession for commercial drivers and transport managers. IRU is also working, in partnership with regional transport association FESARTA, to support SADC on the development of regional standards for truck stops – ensuring that truck drivers can access a suitable level of safety and comfort on the key arterial routes throughout the region. IRU has already launched its TRANSPark mobile app in Africa as a tool to help drivers plan their routes and identify safe parking areas. Initially available on the North-South Corridor, simply showing the locations of known parking areas, IRU further expanded the service in February 2016 so that drivers and other users can locate border posts, weighbridges, toll stations, police checkpoints, and roadside wellness clinics, as well as additional parking areas. We are also discussing with FESARTA and SADC the potential to establish an accreditation system so that drivers can know the exact standards that a parking area has met, and can identify it via TRANSPark. TRANSPark is a modern, interactive mobile app. Search for a safe parking area on your route.